Brand new and high qualitySolid factoryAffordableDo not hesitate in the shop.Name: external USB box notebook driveType: U2-FDDColor: BlackPort: USB2.0 standardApplies to the following models: laptop, mobile PCs, desktop PC compatibleSystems supported: Windows ME / 2000 / XP, Win 98 / 98SE, Mac OS 8.6 or higherProduct parameters: or the legend in the instruction manual.In addition, applications of the appropriate system and instructions are included on the CDPackage Contents:1 x English manual1 x Neutral packaging in one cartNote: Light shooting and different displays may cause the color of the item in the picture a little different from the real thing. The measurement allowed error is /- 1-3cm. Brand Unbranded MPN Does not apply . It is thin and light, easy to carry, ideal for desktops and laptops. 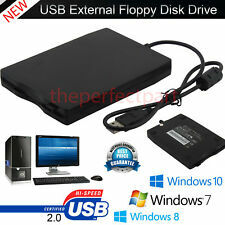 External floppy disk with USB interface, USB 1.1 / 2.0 compatible. High quality hard plastic case, durable and very clean. Power is supplied directly from the USB port, no external power supply is required. Color: Black Package Content: 1 * USB Portable External 3.5 1.44 Megabyte Floppy Disk Drive Read / write 1.44 megabyte floppy disk, plug & play, Windows ME / 2000 / XP / Vista / victory 7. Brand New,External Diskette Drive with USB interface;Powered directly from the USB port, no external power required.Super slim and lightweight, easy to carry, ideal for Desktops and Laptops;High quality hard plastic enclosure, durable and very nice looking.Read/Write 1.44 MB floppy disk;USB 1.1/2.0 compatible.Plug amp; Play with Windows ME/2000/XP/Vista/Win 7/win 10.Give new life to your old floppies, also can be used for Windows installation.3.5 inch 720KB/1.44MB FDD.Available USB bus supply current: 500 mA or less. Date capacity: 720KB/1.44MB (Formatted).USB Data Transfer Rate: Full speed/12 Mbps.Data Transfer Rate: 250 Kbits (720KB)/500 Kbits (1.44MB).Number of Cylinders: 80.Rotation speed: 300 rpm, 360 rpm recording method: MFM.Media: High Density (2 HD). 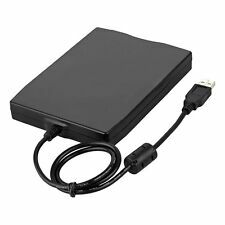 Durable USB 2.0 external 3.5-inch 1.44 MB Floppy 1.44 MB diskette, ideal for users of desktop, laptop and mobile computer. 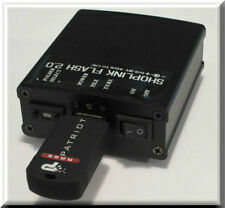 Get the energy directly from the USB port, no external power is needed most. case high quality hard, durable plastic and very pleasant to look at. Description USB 3.5 inch micro floppy super slim and lightweight current d 'USB bus power: 500 mA or less capacity of data: 720KB / 1.44MB (formats) USB data transfer rate: 12 Mbps data transfer rate: 250 Kbps (720KB) / 500 kbps (1.44 MB) Number of cylinders 80 Plug & play with Windows ME / 2000 / XP / Me materielle Configuration Requirements Computer with USB USB Control of universal Port host Package Including 1 x floppy 1 x driver disk 1 x user guide Brand Unbranded MPN Do. External Diskette Drive with USB interface;Super slim and lightweight, easy to carry, ideal for Desktops and Laptops.Read/Write 1.44 MB floppy disk;USB 1.1/2.0 compatible.Plug & Play;High quality hard plastic enclosure, durable and very nice looking.Powered directly from the USB port, no external power required.Give new life to your old floppies, also can be used for Windows installation;Let all your best memorise come back clearly to you again !! !Specification:3.5 inch 1.44MB FDD.Available USB bus supply current: 500 mA or less.Date capacity: 1.44MB (Formatted).USB Data Transfer Rate: Full speed / 12 Mbps.Data Transfer Rate: 500 Kbits (1.44MB).Number of Cylinders: 80.Rotation speed: 300 rpm, 360 rpm recording method: MFM.Media: High Density (2 HD) or Normal. DISCS THAT REQUIRE FORMATTING BEFORE USE. 100 Floppy disk index self adhesive labels 3.5" square. White Printable Laser Inkjet A4. Very rare now. (720k and 1.44mb compatible floppy disk drive. 1) We have over 20 years of experience in the Atari ST computer industry established in 1993, from refurbishing to programming on the Atari ST, to the demo scene. Latitude Models: CP, CPi, CPi 233ST, CPi 366, CPi D266XTD, CPi D233, CPi D266XT, CPi D300XT, CPiA, CPi A 300ST, CPi A 366ST, CPi A 366XT, CPi A 400XT, CPx, CPiD, CPiR, CPt, CPtc, CPtS, CPtV, CPxH, CPxJ, C400, C500, C510, C540, C600, C610, C640, C800, C810, C840. (1) We have over 20 years of experience in the Atari ST computer industry established in 1993, from refurbishing to programming on the Atari ST, to the demo scene. Does not include a key. DNC up to a 2 gigabyte file, over 2500 units SOLD!!! 1,44 MB Diskettenlaufwerk (Floppy disc Drive). Diskettenlaufwerk v. IBM, wie abgebildet und beschrieben, technisch im sehr guten Zustand. sowie ThinkPad R30, R31, R32, R40. ThinkPad A20, A20m, A20p, A21e, A21, A21m, A21p, A22, A22e, A22m, A22p, A30, A30p, A31, A31p. 3.5" 1.44MB, 26 PIN Floppy Drive FDD. Mpf820 gj309 k9699. Dell OptiPlex GX745 GX755 GX520. FLOPPY VASSOIO. In conseguenza di ciò, anche se. Diskettenlaufwerk / Floppy 1,44 MB. 2 x Low Profile Slotbleche Slot Blende zur Abdeckung für Gehäuse Low-ProfileEUR 1,7900. -> Grafikkarten AGP. -> Grafikkarten PCIe. Hinsichtlich der Rücksendekosten wird folgendes vereinbart. 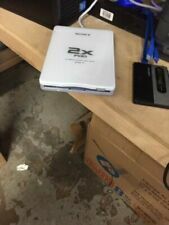 Brand new authentic original Dell Floppy Drive. 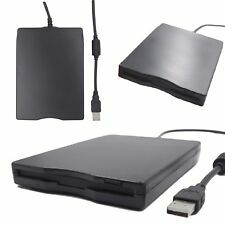 Can be used as an external drive on any PC or internally on the Dell models listed below. PART NO : OY6993 Comes with USB cable to connect externally. Internal Drive for Dell D610, SX280, GX620 and USFF range Optiplex 760, 755. Dell Branded high quality drive, not an unbranded generic drive. Sony MPF920. Floppy Disk. Floppy disk - 3.5". Floppy disk drive. floppy interface. 1.44 MB 3.5 per PC 34 pin Nero Black @. 34 pin IDC. Product Line. 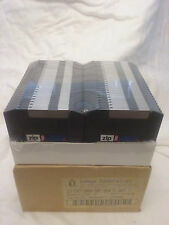 IMATION SUPER 120MB DISK LS 120. 1 Jaz Drive. Couple of nicks in shrink wrap. See picture. This also excludes any compatibility problems with OS, software drivers or region issues. MODEL: S26391-F152-E100. Gebrauchtes und vollfunktionsfähiges externes 1,44 MB FDD Drive / IBM Diskettenlaufwerk für. Das Floppylaufwerk wird dann über den PortReplicator angeschlossen. Das Laufwerk müsste auch vom Anschluss für die 365 u. 770 Series passen. Item is still in original plastic and was never used. PHOTO IS OF ACTUAL ITEM. PART No. 503022-001. This also excludes any compatibility problems with OS, software drivers or region issues. Manufactured by N.E.C. 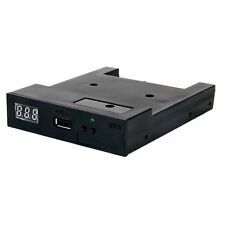 as their model FD1155C (exact part number 134-500025-004-0) this is a 5.25" half-height, standard Shugart interface floppy disk drive, 720Kb and 1.2Mb formatted capacity. Cream front. The box is in very nice, shrink wrapped condition, but not quite perfect condition. Factory Sealed! Ai sensi degli Art. 595 c. 1, 2, 3 Codice Penale, Art. 30 c. 4 e 5 LN 223/90. 1,44 MB IBM Diskettenlaufwerk (Floppy disc Drive). Diskettenlaufwerk v. IBM, wie abgebildet und beschrieben, technisch im sehr guten Zustand. für Notebooks IBM ThinkPad T20, T21, T22, T23. This also excludes any compatibility problems with OS, software drivers or region issues. MODEL: S26391-F192-V400. 1,44 MB Diskettenlaufwerk, dunkelgrau. 1,44 MB Floppy drive FDD, dark grey. ausgebaut aus einem fast neuen Server. Teac FD-235HF-C891 1.44MB IDE 3.5" FDD. Last one sold has been opened from static bag for pictures. Removed from a Sony Laptop. 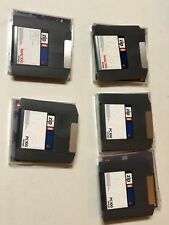 Genuine Memorex 10 Pack of Black Diskettes (3.5 Inch) Computer Floppy Disks NEW! Vintage Data General 3.5 inch DS/DD Floppys, Never Used, Near mint condition! !